No. 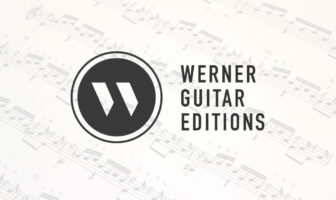 13 – Scale Exercise: Articulation and Dynamics for Classical Guitar from my technique book 20 Favorite Exercises(with TAB) but you can also check out my more extensive Classical Guitar Technique (Notation only, 122 pages). YouTube Video Lesson Link. No. 13 lesson occurs about 8 minutes into the video. If you practice your technique in only one way you might end up playing like a robot. So, here’s a chance to practice your expressive technique in a controlled setting. Make up your own articulations and dynamics to complement what I’ve provided. You may also wish to experiment with different timbres such as tasto (warm sound: right-hand near the fingerboard) and ponticello (bright sound: right-hand near the bridge). You can make similar changes to the sound by slightly adjusting the angle of the fingers on strings.